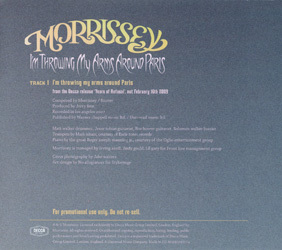 "I'm Throwing My Arms Around Paris"
Front photography by Jake Walters. 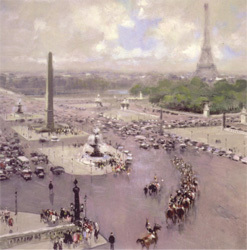 All three formats had inner sleeves featuring on one side photos of the band by Travis Shinn, and on the other a painting of Paris in the late 1800s / early 1900s. 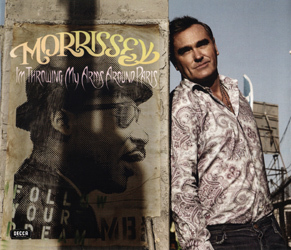 The inner sleeve for cd#1 showed Morrissey's musicians holding LPs of Herb Alpert and the Tijuana Brass, and on the other side a painting titled "Place de la concorde" by Jules R Hervé. 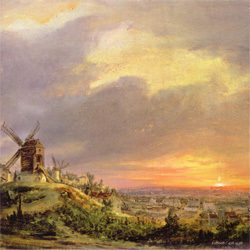 The inner sleeve for cd#2 showed one one side the band standing behind Morrissey and holding copies of his "Greatest Hits" album, and on the other side a painting of the Butte Montmartre by Louis Jacques Mande Daguerre. 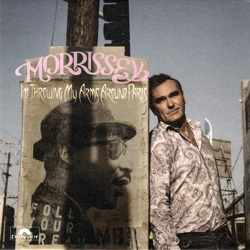 The 7" inner sleeve had one one side a photo of Morrissey and his musicians naked with 7" records in front of their privates, and on the other side the same Paris painting as for cd#1. 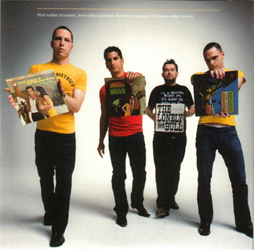 View all images in the left section of this page. 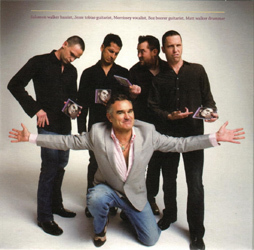 UK: A one-track promo cd of the title track (Decca MORRISSEYCD3) features the same artwork as the stock cd-single #1, but has the Decca logo on it instead of the Polydor one. 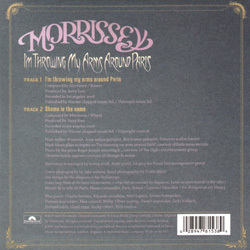 Copies of the cd-single with an information sticker on the back of the case and "For Promotional Use Only - Not For Sale" in red on the right side of the disc's 'label' also served promotional purposes. 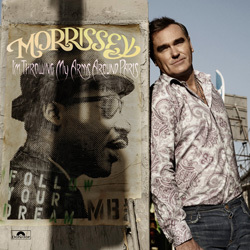 Denmark: A one-track promo cd, slipped inside a generic Universal card sleeve with promo text. Some copies have a Universal logo on the cd, others just have a plain white label. 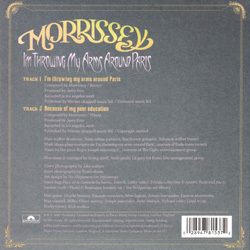 France: A one-track promo cd [Universal France/Barclay] with an insert featuring the single's usual artwork. 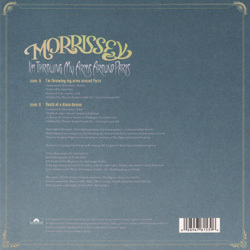 Germany or Switzerland: A one-track promo cd [Universal Music] dispatched inside a clear plastic sleeve served to promote the release of this single as well as the upcoming "Years Of Refusal" album. The promo is a simple cd-r bearing a white label with black text, including release dates (VÖ) for both releases and the email address of (presumably) plugger Adrian Schnaubelt. For some strange reason, the web address for Morrissey-Solo is also mentioned on the disc. Israel: A one-track European cd with a Hebrew promo sticker on the front. 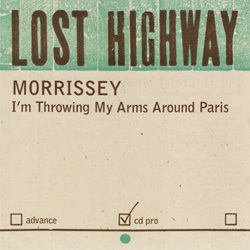 USA: A one-track Lost Highway promo cd of "I'm Throwing My Arms Around Paris" (Lost Highway/Attack MRNR-02891-2) was used to promote the "Years Of Refusal" album as the song was not released as a single in the USA. Promo DVD-r of the video served the same purpose.